After a year of anticipation, the 2017 Jingle Cross World Cup finally came to Iowa City on Sunday. The hot temperatures of the previous two days cooled thanks to an overnight rain, the corners tacked up and the dust that hovered over the Johnson County Fairgrounds on Friday and Saturday largely disappeared. 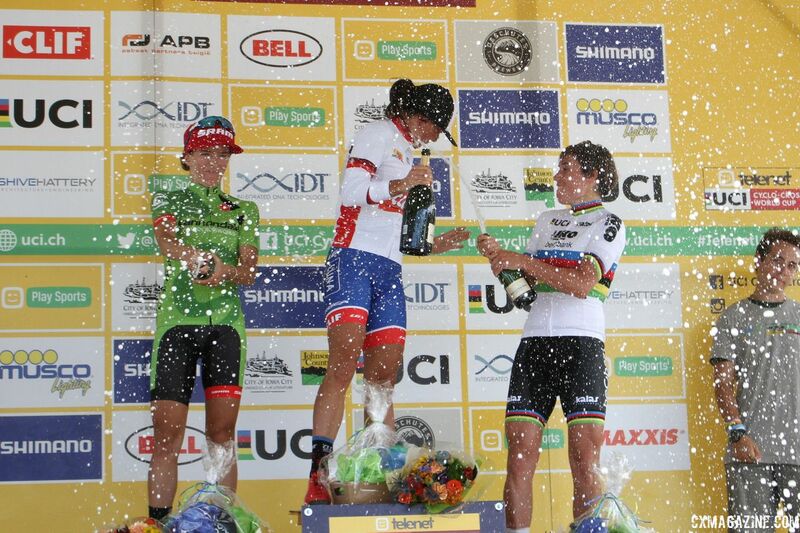 Friday’s C1 race produced a repeat of the 2016 World Cup podium, with Kaitie Keough (Cannondale p/b Cyclocrossworld.com) topping Katie Compton (KFC Racing / Trek / Panache) and Caroline Man (Van Dessel Factory Team). 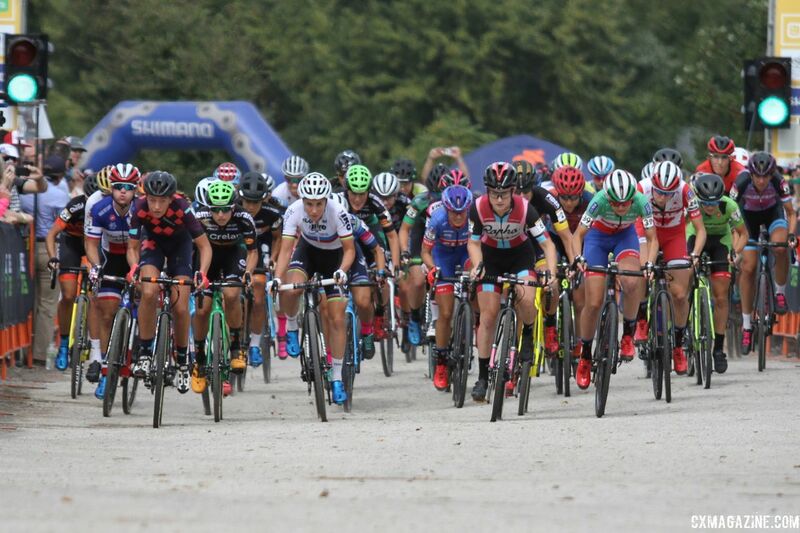 Sanne Cant (Beobank-Corendon), Sophie de Boer (Parkhotel Valkenburg – Destil Cycling Team), Eva Lechner (Clif Pro Team) and other Europeans chose to wait until Sunday to race, so there was the question of how their presence in the field would affect the outcome. When Lechner got out to a hot start, it seemed on a course dominated by steep climbs and fast descents, the afternoon would belong to the mountain bikers in the 40-woman field. Her lead dissipated after two laps, and riders had to sort out if mountain bikers would reign supreme, or if a rider like Jingle Cross veteran Keough, Cyclocross World Champion Cant or another rider could grab the first race of the 2017/18 Telenet UCI World Cup. Mt. Krumpit is known for its steep, unforgiving slopes that challenge riders both going up and coming down. In many ways, those two factors tilt the course in favor of riders with mountain bike experience. Eva Lechner quickly seized on her advantage and opened up an early six-second gap on her rivals by riding up the Krumpit Run-Up. 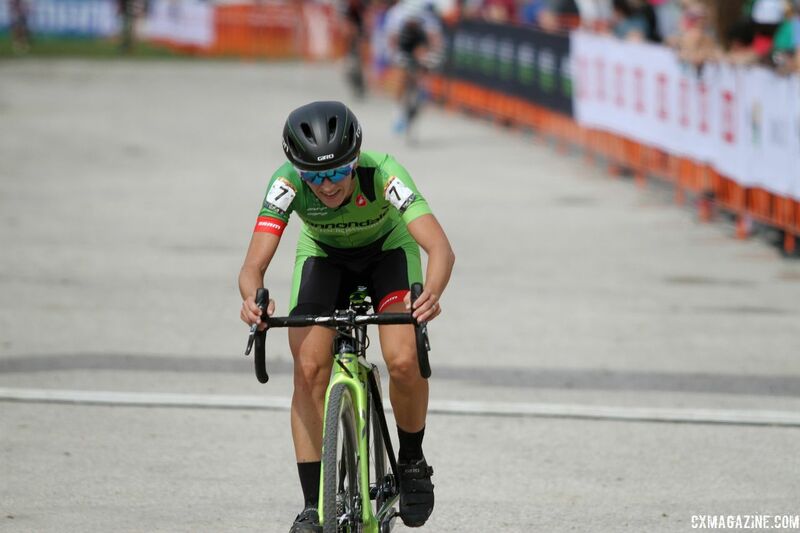 Lechner maintained her advantage well into the second lap, but as the race settled in, Katie Compton recovered from a slow start and single-handedly dragged the chase back to Lechner. When the riders went out for a third lap, the race was back at parity, and ten riders were wheel-to-wheel in a train heading up Mt. Krumpit. Compton had the descent dialed in during the first two laps and used the advantage to move to the front. She passed riders with her deft handling skills. On the third descent, Compton went into the turn a little hot and crashed into the outside snow fencing along the barn. She went down hard on her shoulder and spent nearly a minute recovering from the ordeal. Compton’s famine was Katerina Nash’s feast. Nash was in the lead when her long-time rival crashed, and she seized the opportunity to attack. 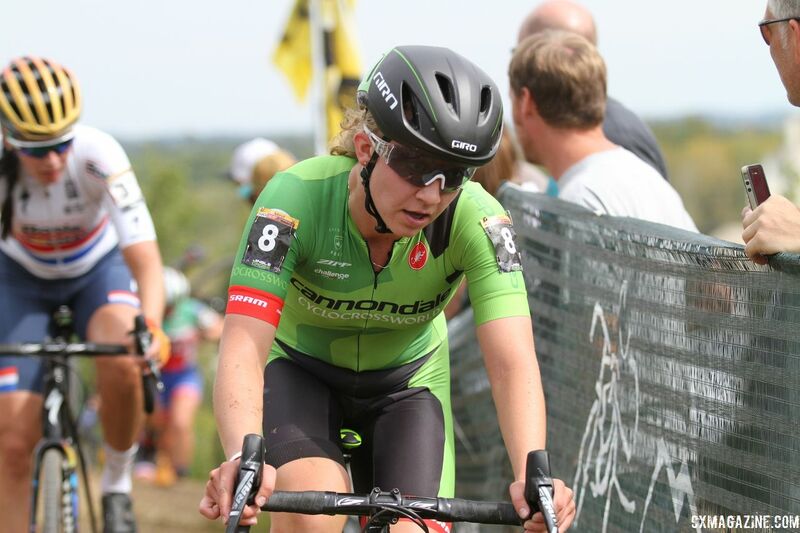 She extended her lead to six seconds at the completion of the third of six laps while Sophie de Boer, Sanne Cant, Annika Langvad (Specialized Racing), Keough and Maud Kaptheijns (Crelan-Charles) gave chase. 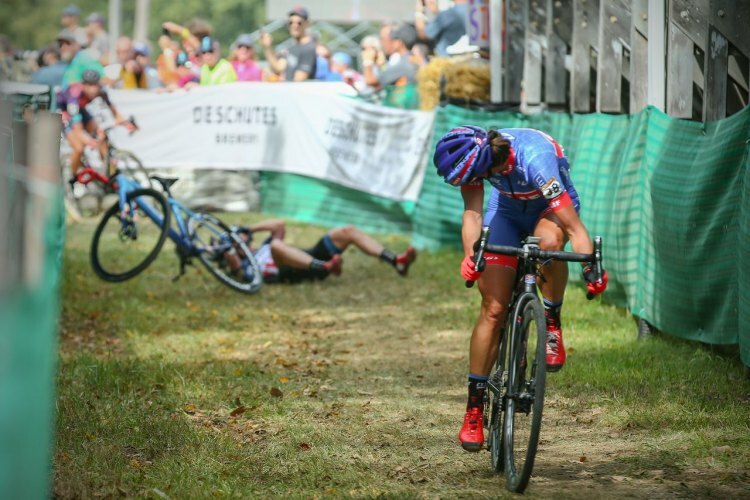 If Nash’s lap three attack put her rivals on the ropes, it was her fourth trip up the climb in the woods on the backside of Mt. Krumpit that was the knockout blow. Nash’s lead swelled to 20 seconds via her mountain bike climbing and descending skills. The chase reeled and Mani caught up to a chase group still deciding who was going to take up the pursuit. 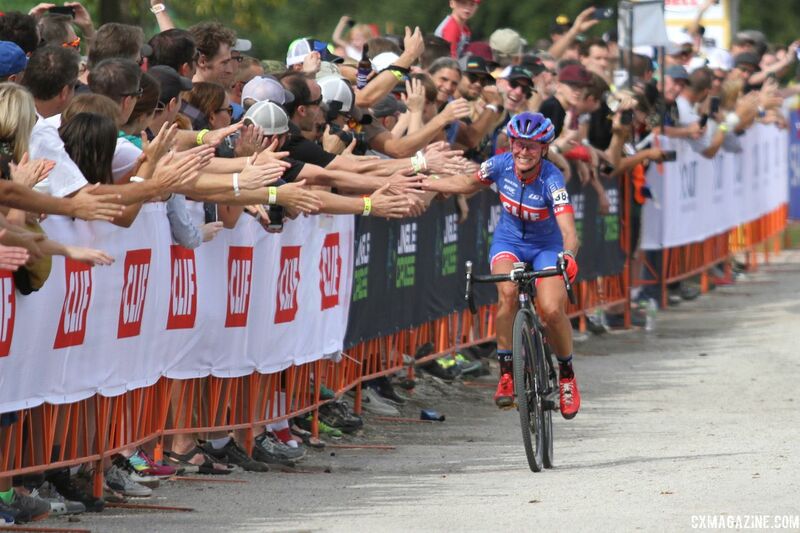 With a twenty-second gap, the group could have resigned itself the battling for second, but Jingle Cross legend Keough had other thoughts. In the second half of the penultimate lap, Keough broke free from the chase to put pressure on the other riders. Sanne Cant followed, and the rest dug deep to keep Keough in check. There was no doubt Nash put in work to get her 20-second gap, and as the bell rang, she had work to do to keep it as temperatures started to rise in the mid-afternoon. When the riders hit the sand pit off the first Mt. Krumpit descent, Nash held a one-sand-pit lead, which translated to 13 seconds in real time. When Nash appeared on the other side of Mt. Krumpit, her lead was over 20 seconds and the World Cup victory was secure. 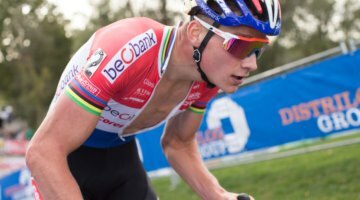 The Czech rider and California resident cruised through the last half lap to grab a comfortable victory and the lead in the 2017/18 Telenet UCI World Cup series. Keough was not challenged for her second position during the last lap. The silver brought her one step closer to the top step of the Jingle Cross World Cup podium after she took third in Iowa City in 2016. Behind the two leaders, the game for third was still very much afoot. When the last-lap chase hit the climb up the backside of Mt. Krumpit, the group was De Boer, Mani, Cant, Kaptheijns and Langvad. 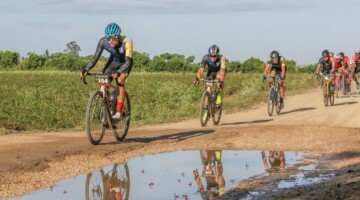 Would the former mountain bike world champion and cyclocross hobbyist surpass a group with years of cyclocross experience? Or would one of the cyclocrossers reign among the group? Cant and De Boer broke away from the others deep in the last lap and rolled back and forth around the team tent area. Cant hit the finishing tarmac first and sprinted to secure the final podium spot. The finish was a small token of redemption for Cant after a disappointing trip to Iowa City in 2016. De Boer finished fourth, Kaptheijns fifth and Mani sixth. 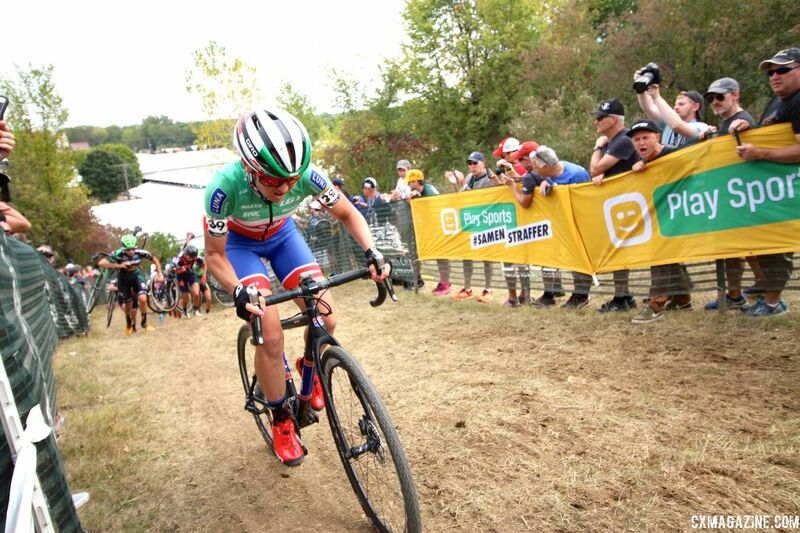 Former Mountain Bike World Champ Langvad was impressive in her Jingle Cross World Cup debut in seventh. Behind the chase group, Ellen Noble settled into the eighth position as the race progressed, Nikki Brammeier rode a strong ninth and Eva Lechner settled for tenth after her fast start. 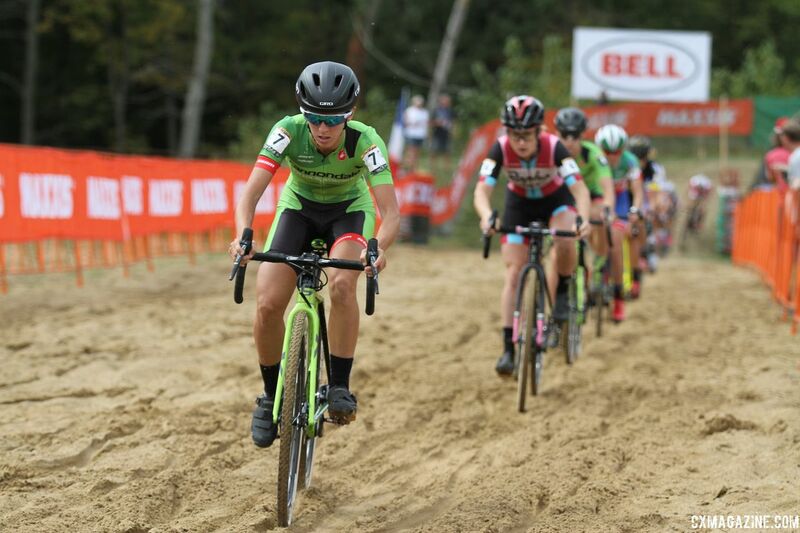 With Ellen Noble (Aspire Racing) aging up to the Elites, Emma White (Cannondale p/b Cyclocrossworld.com) now leads the charge for the Americans in the U23 category. Five U23 riders took to the start line in Iowa City. White battled near the top ten throughout the afternoon and finished the race in 11th overall. She was rewarded for her efforts with the U23 leader’s jersey that she will have the chance to defend in Waterloo, at least until the series moves to Europe. Belgian Fleur Nagengast (Telenet Fidea Lions) finished 24th overall and Canadian Ruby West 31st. 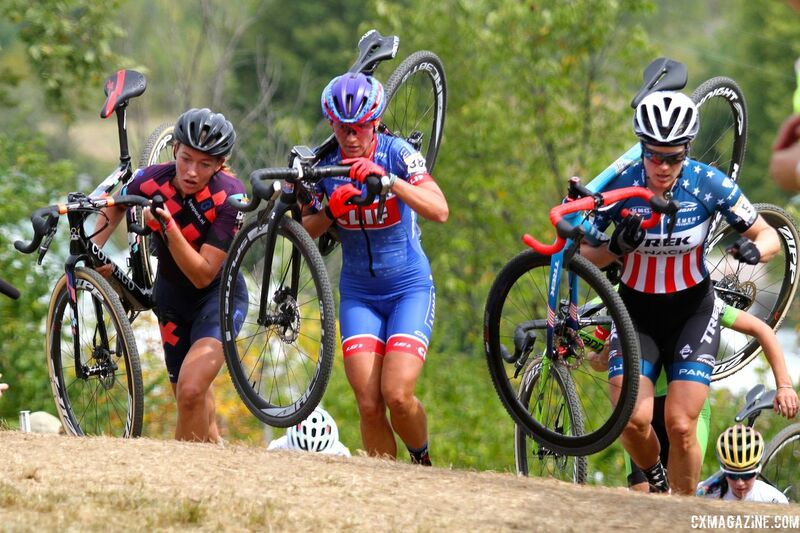 The U.S. leg of the Telenet UCI World Cup continues next weekend in Waterloo, Wisconsin. The Trek Factory grounds will host a UCI C2 race on Friday and then World Cup Waterloo on Sunday. Stay tuned to Cyclocross Magazine for more coverage of the 2017 Jingle Cross Festival in Iowa City.